Almost a decade ago, music production was only possible in studios where the right equipment and hardware was available. Technology has significantly progressed in the last 10 years. The development of specialized hardware and software has now enabled us to produce music directly on our computer system. Nowadays, anyone can compose and produce music easily right from their laptops! The real challenge here lies in finding the right laptop for music production. From the hardware specifications to the operating system, everything matters when you are looking for the perfect laptop for producing music. What you need to do is to find the right mix of specifications within your specific budget. This guide will help you identify the key things that you need to consider before buying a laptop for music production. The ZenBook UX305UA is an eye-catching notebook by Asus that combines immaculate design with powerful hardware to facilitate you with everything you need. With an ultra-slim aluminum body, a screen size of 13.3 inches, and a weight of only 2.9 pounds, the laptop is recommended for anyone that is looking to put portability above everything else. The vivid and beautiful FHD display on this laptop is sufficient for anyone that is looking to stare at the screen for a long period of time. Moving on to the hardware specifications, the ZenBook UX305UA has 8 GB of RAM with the incredibly powerful 6th generation Intel Core i5 processor. The notebook has a 256 GB SSD for storage purposes that offers high speeds of data transfer. These specifications, as mentioned above, are ample for anyone that is looking to compose music professionally on a laptop. Finally, the battery life for the ZenBook UX305UA is an impressive 10 hours that should do good for anyone that is looking to use the laptop away from home. Brilliant, slim design that makes the laptop easy to handle and carry. FHD display with a resolution of 1920 x 1080 pixels. The powerful CPU and ample amount of RAM make the notebook capable of handling the resource-intensive Virtual Studio Technology (VST) tools. 256 GB of storage is insufficient for anyone that is looking to store audio files and applications on the notebook. Sadly, no HDD version of the laptop is available. The MacBook Pro is the perfect laptop for anyone that is looking to spend the extra money for elegance and simplicity. Featuring the Mac OS, the Apple MacBook Pro makes everything easier for individuals that are not used to of using computer systems. The notebook has a spectacular 15.4 inches WGXGA (2880x1800 pixels) display that stands out from all the rest. The MacBook Pro comes packed with a dual-core Intel Core i5 processor that can easily handle all of your music production operations. As for the memory configuration, the MacBook Pro has 16 GB of RAM with storage options for 128/256/512 GB of SSD storage. The high-capacity battery on the notebook gives you up to 10 hours of continuous, undisrupted use. Alluring design with an ultra-slim, lightweight body that makes the notebook highly portable. Mac OS offers greater stability and reliability that is well-suited for individuals that are not computer savvy. The WGXGA Retina display is one of the best notebook displays around. Almost twice as expensive as its competitors. No option available for HDD storage which means that you can get a maximum of 512 GB storage with the MacBook Pro. This amazing notebook by HP is a good choice for anyone that is on a small budget. The Hp 15-AY013NR is solidly built that enhances durability. The 15.6” FHD display is fitting for anyone that is looking to use the notebook for longer periods of time. Coming on to the CPU, the HP 15-AYO13NR features a dual-core Intel Core i5 processor that is clocked at a speed of 2.3 GHz. Though it is not the best performing processor, it can easily take care of heavy-duty tasks such as those required by VSTs. The RAM on the notebook is an ample 8 GB that will allow you to run multiple applications at the same time without lag seamlessly. For the storage, the notebook has options available for a 128 GB SSD drive (for higher speed) or a 1 TB HDD drive (for greater capacity). This choice makes it easier for individuals to choose between speed and capacity, according to their requirements. The notebook’s battery, on average, gives up to 7 hours of continuous use. An economical choice for a music production laptop. Diverse options available for storage (HDD and SSD). Good battery time, especially if you consider the screen size. Not as portable as the other options because of its greater weight and larger size. The Acer Aspire E is an all-around performer that features a sleek design with powerful hardware. The laptop has a vibrant 15.6 inch Full HD display that is set at a resolution of 1920 x 1080 pixels. What stands apart on the Acer Aspire E 15 is its Intel Core i7 CPU and NVIDIA GeForce 940MX GPU that make it one of the most powerful laptops in this price range. The powerful processor can be boosted to up to 3.1 GHz and handles even the most intense tasks with great ease. As for the memory configuration, the laptop features 8 GB of DDR4 RAM with a 256 GB SSD. Sadly, there is no alternate storage option with higher capacity. We have saved the best for last, though. The battery on the laptop can last an incredible 12 hours of uninterrupted use! This is arguably the best battery time any laptop with a 15.6-inch screen can give. Powerful CPU and GPU that ensure a lag-free experience, no matter how resource-intensive your work may be. The beautiful design makes the laptop easy to handle and use. The laptop is not as portable as its competitors because of its weight (5.3 pounds). No HDD option is available for storage. Marketed as a gaming laptop, the Asus GL551 is a powerful machine from 2014 that has been specifically made for handling resource intensive applications (such as HD games). The laptop features a marvelous black-and-red design that is the signature theme for gaming laptops by Asus. The screen is an FHD 15.6” IPS LCD Matte display that is crisp and clear without any notable fuzziness. Overall, the Asus GL551 is well-designed and easy to handle, despite its large size and weight. The notebook features an Intel Core i7 processor clocked at a speed of 2.6 GHz that is more than capable of handling all the music production applications that you will use. The CPU is coupled with the powerful NVIDIA GTX960M GPU that significantly improves graphic and video performance. Moving on to the memory, the Asus GL551 has 8 GB of DDR3 RAM that perfectly complements the capabilities of the CPU. As for the storage, the laptop features 1 TB of HDD storage but sadly, there is no option for SSD available. Finally, the laptop has a 6-cell 5200 mAh battery that gives you enough power for up to 6 hours of continuous use. Packed with powerful gaming specifications that can handle all music production tasks with great ease. The remarkable design that sets itself apart from its competition. Adequate storage in the form of a 1 TB HDD. The heavy and bulky body that weighs approximately 6 pounds and it is not as portable as most of its competition. No SSD storage option with the 8 GB RAM model. When you are out looking for the perfect laptop for you, there are numerous aspects that you need to look into. For instance, you need to know what applications will you be running on the laptop and how often will you be using it? Once you know your exact requirements, here is a list of things that you need to look for in a laptop. An operating system is an essential software that provides the computer with its basic functionalities. There are two primary operating systems that you can choose from Mac OS and Windows. While there are many others available in the market too but they are not as advanced or stable as these two. Mac OS provides you with a stable and reliable environment to work in that has little to no customization options available. It is recommended for individuals that are not computer savvy and are looking for stability. However, remember here that a Mac OS laptop (known as the MacBook) is more expensive than other options available in the market. Windows, on the other hand, is an immensely powerful operating system that needs to be tamed for stability. What do we mean by tamed? Well, Windows can be customized to fit your needs in countless ways. However, while making these changes, keep in mind that you need to put performance and stability over everything else. A Windows laptop is also generally easier to upgrade than a MacBook as well. 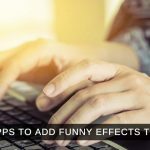 Individuals that love exploring newer domains and tampering with the environment that they work in are recommended to use laptops with Windows. Ensure that the laptop is not made up of poor quality material. Make sure that the laptop is durable and light-weight, especially if you expect to carry it around a lot. Keep the ergonomics in mind. It is likely that you will be spending quite a lot of time using the laptop (music production is a lengthy task). This means that you need to be comfortable with the shape, size, and design of the laptop. The keyboard and trackpad are the next things you need to look for in the laptop. Try typing on it and check to see if you can comfortably type at a brisk speed. If all feels good to you, move on ahead to further inspect the laptop. The things that you need to look for in the hardware specifications for laptop. This is perhaps the most important thing that you need to look for when you buy a laptop for music production. The performance of your laptop is directly linked with the hardware specifications such as the processing speed and RAM size. The processor is the heart of the computer system – it is responsible for performing all the operations given to the computer. First, make a list of tasks that you will require your laptop to perform. For instance, if you are looking to run several virtual studio technology (VST) tools and applications, it is recommended that you choose the latest generation processor with a minimum of 2 cores (such as the Intel Core i5). 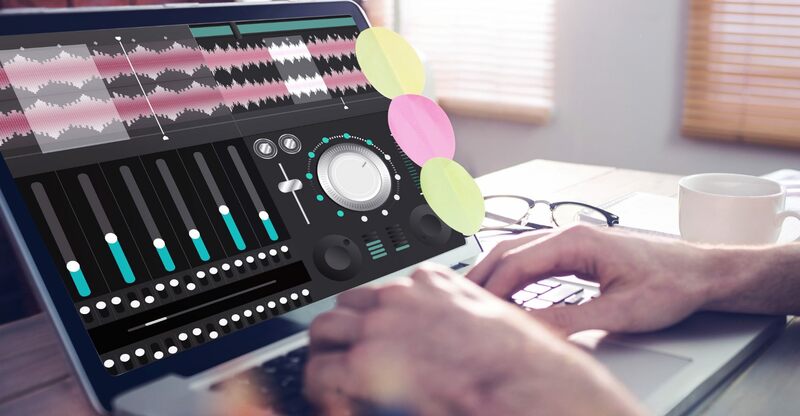 Amateur music producers that will be performing less processor-intensive tasks can carry out their work with slower processors such as the Intel Core i3. Keep in mind that you cannot upgrade the CPU on your laptop. 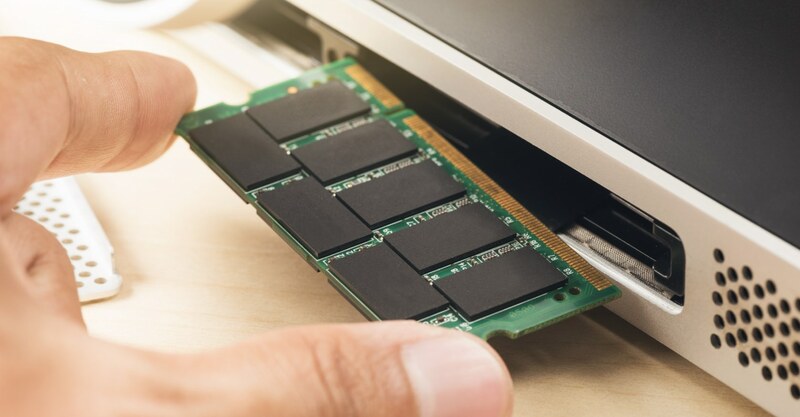 The Random Access Memory (RAM) is the portion of your computer system that stores the data currently in use. Unlike the CPU, you can easily (and economically) upgrade the RAM on your laptop. To start off, we recommend at least a minimum of 4 GB RAM to carry out the music production tasks on your laptop. However, if you are looking to run multiple applications at the same time, a RAM size of 8 GB would be more suitable. There are two types of storage: Hard Disk Drive (HDD) and Solid State Drive (SSD). This option is essentially a trade-off between speed and size. While HDD storage offers higher amounts of storage for lower prices, they have slow read/write speeds. SSD storage, on the other hand, has much higher read/write speeds but offers less space than the HDD. If you are going to be storing all your media files on your laptop, we recommend that you use the HDD because high storage SSDs can be very expensive. Everyone wants their laptop to have good battery time but when you are looking to buy a new laptop, ask yourself this: Will I be using the laptop at home? If you have your music studio setup at your home, then you will have your laptop plugged in at most times. This means that the battery life is irrelevant in this scenario. However, if you are going to be taking your laptop out, it is recommended that you look for a laptop with a battery life of 8+ hours (of average use). The size and resolution of the screen are the next things that you need to consider before buying a laptop. 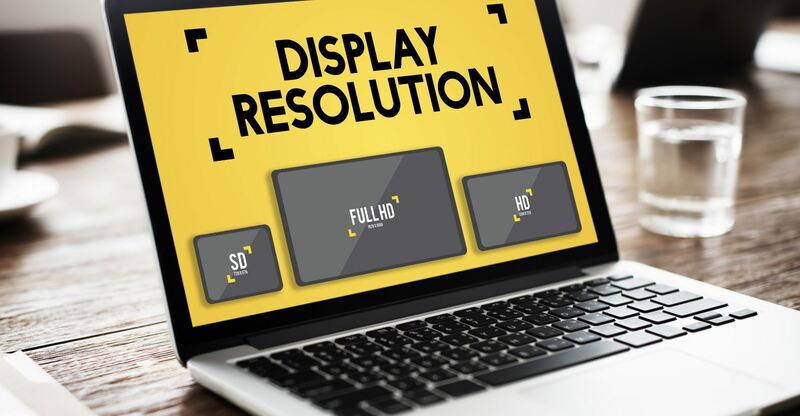 Today, you should look for a laptop that has at least an HD display (with a resolution of 1366 x 768) to ensure that the contents of the screen are clear and crisp. Moreover, the screen size (that also determines the overall size of the laptop) is also very important. If you are looking to keep the laptop stationed at home for long-term work, we recommend higher screen sizes (such as 17.1” or 15.6”). However, if you are looking for portability (or if you intend to use the laptop only for storage purposes), then a small screen size of 13.3” is recommended. What exactly is the perfect laptop for music production? Today, everything in the world has been made easier by computer systems. The machines allow you to perform repetitive and complicated tasks quickly and efficiently. Music production is an example of work that has been automated with the help of computer technologies. Today, even professional music producers make use of laptops to record and compose laptops. However, the question that arises here is: What exactly is the perfect laptop for music production? 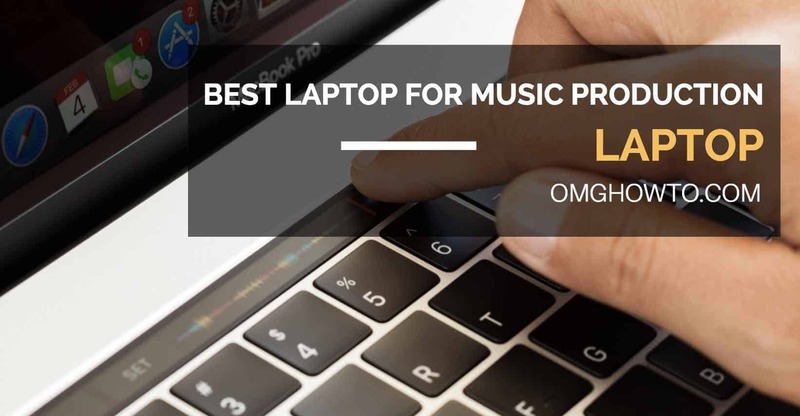 While there are numerous aspects that go into a good laptop, we have to look at a specific set of attributes for laptops that are to be used for music production. These include processing power, memory size, portability, and battery life. At the same time, there is the ever lively argument of Mac OS vs. Windows – which one is the better platform for music production? 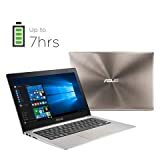 We recommend that individuals who are looking for a reliable and stable operating system go for the MacBook while computer geeks should opt for the more economical Windows notebooks. To further help you make a better decision, we reviewed five laptops in this article that highlight the different categories of laptop specifications. However, at the end of the day, it is about what you feel the most comfortable with. 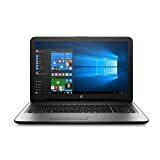 I have been a fan of PC for many years but lately I’ve started to lose confidence with Windows, I am seriously thinking about getting a MacBook because in the long run I think that I will benefit, rather than having my laptop crashed on me periodically. Great article thanks for the info ?